Measures passed in California, Florida, and Maine, while North Dakota voted against conservation fund. 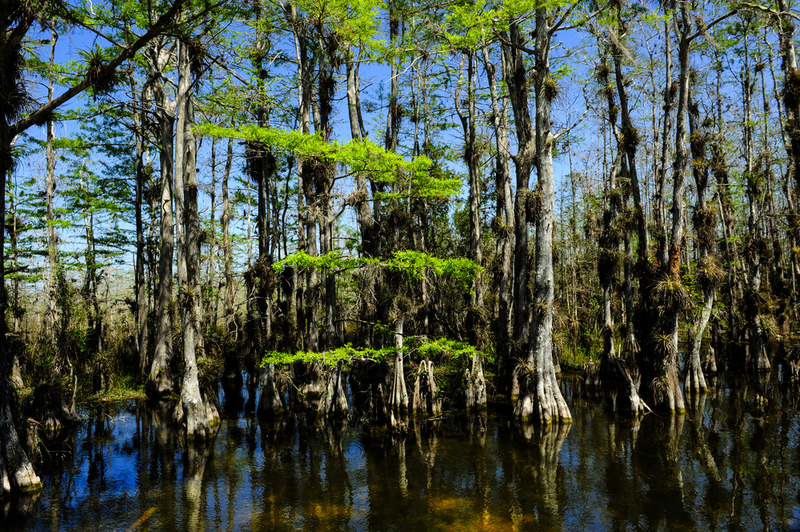 By a two-to-one margin, Florida voters approved a constitutional amendment that will provide as much as $US 18 billion over 20 years for land and water conservation programs that will help the Everglades, shown above, springs, and other key ecosystems. Voters in California and Maine also approved water-spending measures. Click image to enlarge. Voters in California, Florida, and Maine each approved the use of state money – either through borrowing or tax revenues – for water projects. Voter preferences for water-related spending at the state level stand in sharp contrast to a decades-long decline in federal support for water infrastructure. The share of federal spending for capital investment in drinking water and sewer systems in the United States fell from 72 percent in the late 1970s to 17 percent in 2010, according to the Congressional Budget Office. Not an aberration, the ballot successes on Tuesday reflect a long-term trend. According to researchers at Cornell University, 22 out of the 25 water-infrastructure measures that were placed on state ballots since 2001 have passed (not including yesterday’s results). Three new initiatives join the ranks of the victorious. The largest outlay for infrastructure comes from California, which approved Proposition 1 by a margin of two votes to one. Proposition 1 authorizes the state to borrow $US 7.5 billion for a wide range of water initiatives, from cleaning up polluted aquifers to building new treatment plants and facilities to store water, either above or below ground. Florida voters embraced a different sort of spending. Amendment 1, which garnered three out of every four votes, directs revenue from real estate taxes into a land and water conservation fund. The fund will be used for land purchases that are tied to improvements in water quality, for Everglades restoration projects, and for protecting drinking water sources from pollutants. The state forecasts that the fund would receive $US 648 million in fiscal year 2015, rising to $US 1.3 billion in 20 years. The total amount during the 20-year life of the amendment could reach $US 18 billion, according to the state budget office. “This sends a message to the current governor and the legislature that Florida voters believe state funding for land and conservation programs is a priority,” Will Abberger told Circle of Blue. He is the campaign manager for the Florida’s Water and Land Legacy, the amendment’s sponsor. A number of existing programs, including Florida Forever, a land-purchasing initiative, are eligible to receive funds, but the Legislature will decide how to divide the pie, according to Abberger. In Maine, voters endorsed a much smaller spending package. With voter approval, the state now has the green light to issue $US 10 million in taxpayer-backed bonds for wetland restoration and for facilities to purify drinking water and wastewater. The biggest defeat came in North Dakota, where voters rejected by a four-to-one margin a constitutional amendment that would have created a land and water conservation fund seeded with 5 percent of the state’s oil revenue. The amendment was supported by fish and wildlife groups but opposed by farm lobbies. Still, the defeat is not an end for the measure’s supporters. The campaign chairman told the Grand Forks Herald that he was pleased that the amendment opened a statewide conversation about protecting land and water resources.